Psychologists diagnose and evaluate mental and emotional disorders. Psychology is the science of the mind or of mental states and processes.There are many types of psychology with various requirements and differences. Things such as education, degree, and capability or specialty affect your chances of getting a job as a psychologist. The many types have different requirements for their special fields located in various places all centered around an understanding of human behavior. Clinical psychologists interview patients, perform diagnostic tests and provide psychotherapy. Clinics, counseling centers, hospitals and private or group practices are common areas for work in this field. These psychologists heal their patients using psychological methods that greatly affect the health of the patient. Clinical psychologists can often work with a few other medical professionals such as doctors, psychotherapists, or psychiatrists to maximize effectiveness of the treatments and develop treatment plans for better recovery. Mental illnesses can range from social disorders to family dysfunction to pain management. All these and more are treated by clinical psychologists. Clinical psychologists often deal with the more severe mental illnesses rather that the everyday issues, Although the problems they treat are comprehensive. Clinical psychologists have been known to move towards teaching courses at a college level and administering mental health programs rather then dealing directly with their patients. Counseling psychologists often have their own practices. One nickname for a Counseling Psychologist is generalist psychologist. With versatile training that utilizes basic therapeutic skills to help find ways to cope with everyday problems and emotions. Counseling psychologists can specialize in certain aspects of their field but they generally focus on emotional, social, educational, vocational and developmental concerns. Counseling psychologists perform diagnostic tests, assess the patient and devise a treatment plan, much like clinical psychologists. Clinical psychologists often consult with agencies such as schools or government. They may also conduct research and teach college courses. Therapeutic techniques are the basis for counseling psychologists because they work one on one with their patients. In fact, these professionals spend most of their time directly working with patients using therapy to better the patients behavior. Developmental psychology was not listed in the previous list but it is another form of legitimate psychology. Developmental psychologists focus on studying human behavior throughout the various stages of life. Specializing in specific areas such as infancy, childhood, adolescence or adulthood, developmental psychologists can work with a wide assortment of patients. The effects of aging, how people cope with getting older, and handling sickness and death are also areas of study for a developmental psychologist. Development psychologists take a look at various aspects of life through different areas of being, including physiological, cognitive and social development. The research gained from developmental psychologists is critical to the understanding of human nature because it represents the study of our minds processes over the span of an entire lifetime. Industrial-organizational psychologists apply psychological research and methods to workplace issues. Industrial-organizational psychologists focus on a topic that differs from what most psychologists deal with: work. These psychologists research various methods for improving the workplace. Such improvements can include but are not limited too, boosting employee morale, solving internal employee issues, and increasing productivity. Industrial-organizational psychologists begin work at the management level of a particular company. This allows them to improve the quality of life at the work setting to ensure a productive environment for all employees. They evaluate the current environment, conduct employee training and screenings so that they may organize methods to address particular problems within the work place. 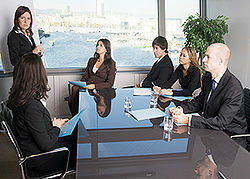 Industrial-organizational psychologists are commonly brought in by employers to intervene and disperse and control a specific work place issue. The study of individuals in a social context is handled by social psychologists. Focusing in on how people are influenced by their social situation, they conduct research to find statistical evidence of social phenomenon. Almost mimicking sociology, although social psychology focuses on the individual instead of the group as a whole. Social psychologists evaluate why people behave in certain manners, why they look and feel the way they do especially in public, and how stereotypes of formed. They also focus on aspects of group behavior such as leadership, racism, sexism and attitudes toward others in general. Although this branch of psychology is complex, it opens up the world of human interaction to so many new and improved possibilities. Research psychologists or as they are also commonly known, experimental psychologists, work privately in research centers or environments to ultimately study human behavior in a multitude of ways. Some also end up teaching university courses like many other psychologists. Using both humans and animals, they study human behavior to gain a better understanding for how we operate, receive information, and live our lives. Research psychologists can focus on areas ranging from motivation, attention, and memory, to sensory and perception capabilities. they can work with patients in experiments to research behavior in certain environments, however these experiments happen quickly whereas the data can take months to analyze, therefore most of these psychologists time is spent working without a patient. This does not change the fact that the research down by these people is crucial to the foundation of psychology. School psychologists may administer psychological tests to students. School psychologists are those that work in lower level schools like elementary and secondary schools. Just like most psychologists and counselors, they resolve the problems and teach them ways to cope with behavioral problems. School psychologists interact between the student and their support network, they are the bridge between the student and the school and they help these students with problems other faculty members cannot. These individuals communicate and relay information to teachers, school staff and parents. School psychologists must be familiar with the school setting. They have to evaluate programs, services and behavior modification methods to aid the needs of the student. School psychologists assist children in succeeding academically, socially and emotionally. This is possible through the strengthening of the relationship between the school staff and family. Evolutionary psychology is the term used to describe the science of studying mental function, psychological habits and cognitive development and interpreting the results according to evolutionary theory. Evolutionary psychology is a biologically informed approach to the study of human behavior. Because of this view within the 20th century assumptions formed in line with Darwinian evolution by way of mutation and natural selection. ↑ . www.dictionary.com. Web. 2-27-13 (accessed). ↑ . www.BPS.org. Web. 2-27-13 (accessed). ↑ . www.smpmn.com. Web. January 16th 2013 (date last updated). ↑ . How Much Do Psychologists Make? www.bls.gov. Web. March 29, 2012 (publication). This page was last modified on 17 February 2017, at 18:53.